I think I have secretly been preparing for Indy my whole life. I have studied health, nutrition, and the workings of the human body since I was 16. I was an ER nurse for 8 years and am now a family Nurse practitioner practicing functional medicine. When Indy was born I immediately started researching (from my NICU chair) the physiology of Down Syndrome and how it affects the body, then attended a wonderful health conference by Down Syndrome OPTIONS in September. I have found some great ways to improve Indy’s health and potential. With the support of a wonderful, open-minded pediatrician, I have been giving supplements and utilizing alternative therapies to help my girl. Indy is thriving! I am so pleased with her development and level of health. 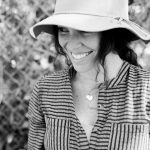 I want to share what I have been doing for her in hopes that it might help others. People with Down Syndrome tend to have more oxidative stress in their cells, meaning they do not detoxify free radicals (toxins) as readily as other people. So if you can give their systems extra support in detoxifying, they will have better outcomes physically and cognitively. Glutathione is an antioxidant produced by the body, and is the most powerful antioxidant we have available to us. It has the ability to work inside our cells as well as outside our cells, which is unique. An easy read on glutathione can be found here and here. Glutathione helps our cells detoxify, improves the function of the immune system, helps prevent alzheimers, and controls the production of hydrogen peroxide. All of these things have been found to be a problem in persons with DS. There are ways to increase glutathione through diet as you can read in those links (however I do not recommend the whey or dairy). I wanted to give Indy more support though. When she was about 4 weeks old I started her on a glutathione supplement that you can find on Amazon here. I started her dose low, one spray per day, then slowly worked up. She now gets 2 sprays twice a day and has done great at this dose, so I am keeping her here for now. Another detox aid that I learned about at the innovations conference is ECGC, green tea extract. People are having incredible results with this antioxidant, particularly in Down syndrome. It improves the function of cells (mitochondria), increases cellular energy (ATP), and increases detoxification; which all leads to increased cognitive function. 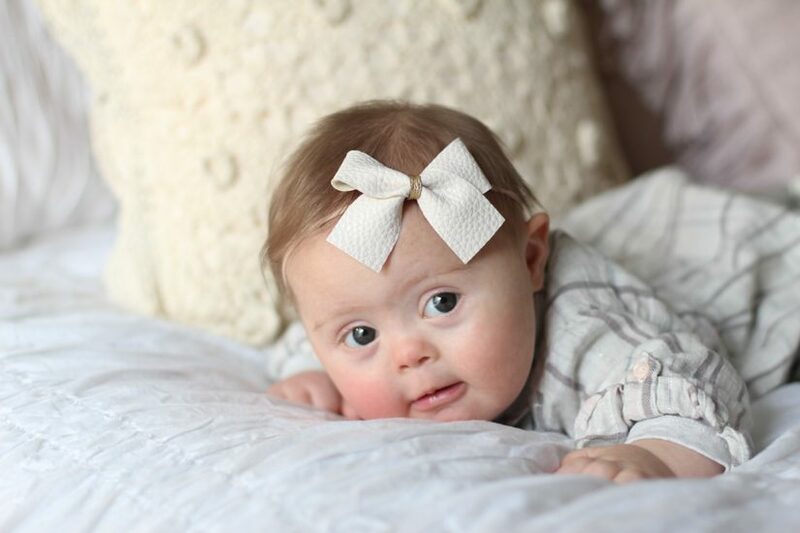 You can read about one mother’s results with ECGC on the blog Down Syndrome: A day to day guide. I have not started Indy on this yet because I don’t want to overwhelm her system. I plan to start between 9-12 months, after I discuss it with our pediatrician. In addition to supplements, lifestyle can make a big difference in the amount of toxins in your child’s body. There are many foods that are great antioxidants, such as wild blueberries, like I discussed in this instagram post that you can eat every day to help your system detoxify. We eat a very large quantity of fruits and vegetables around here to give our bodies nutritional support and antioxidants through foods like berries, greens, & pomegranate, just to name a few. Some other great ways to improve detoxification are epsom salt bath soaks, skin exfoliation & dry brushing, and most importantly- exercise. At the innovations conference one physician said many times, “3 miles of walking equals talking”. Exercise is key! There are some nutritional deficiencies very common in down syndrome; such as Zinc, Vitamin A, Vitamin B12, and folate. These are some of our most important vitamins! Some studies have actually found zinc deficiency in mother’s carrying a child with Down syndrome. Zinc is crucial for our cells and most people do not get enough. I take a very generous dose of zinc every day. To give Indy the nutrients she needs I give her this Multi-vitamin. I give her a small dose of 3/4 tsp every morning. I like this vitamin because it tastes good, is organic, has no synthetic vitamins and all the B vitamins are in the methylated form. This is the form our bodies can use most adequately. I love what this company stands for and I love all of their products. Go read their FAQ page to learn more. Foot zoning. I am going to give this subject its own blog post but wanted to mention it briefly here. Indy has had a foot zone every week of her life. Even when she was in the NICU. I think we can thank this alternative healing method for the great strides Indy has made since birth. When we found out Indy had 5 holes in her heart I immediately called our zone therapist Rachel, because she had told me in the past that foot zoning was great for closing holes in the heart. When Indy was 2 months old, 4 out of 5 holes had closed on their own. And the last hole that remained had gone from large to medium in size. If I wasn’t a believer in this healing method before…. I certainly am now. I am trained in foot zonology from the Nordblom Institute and truly feel that is the best thing I have ever done for myself and my family. Lastly, Essential oils. I believe whole-heartedly in their healing power, when you use the right ones in the proper way. We use Primavera essential oils most. I like these because they are organic, very pure, and most are from Europe. I trust their source and have had great results using them. You can buy them here. When Indy was 3 weeks old we started with Immortelle, very diluted (1 drop in 20ml of jojoba oil) and rubbed it on her belly over her liver every day to help her liver function properly and get rid of toxins. Now that she is older I rotate immortelle, frankincense, and eucalyptus (all diluted in a carrier oil) and rub them on her feet morning and night. I diffuse eucalyptus in her bedroom every night to help keep her oxygen levels high. Eucalyptus is amazing at increasing oxygen in the body. If you are interested in essential oil use and have more questions on how to do it safely, let me know! I can help or get you set up with someone who can. I believe our bodies can heal and function properly when they are given the right tools. I am trying to give Indy every opportunity to function at the highest of her ability. I am a Nurse Practitioner who studied western medicine in school, and studied alternative medicine outside of school. I think a balance between these two modalities can yield great results. Terahbelle, You never cease to amaze me. Indy is going to be the healthiest baby on the block, actually, already is. God’s blessings to you, continue to bless others. I am fascinated by this post. Thank You. Amazing! Thank you so much for sharing your knowledge. Will start to slowly introduce my son to some of these. Alright, I’m going to start slow and get some spray from Amazon first! Thanks for all of this info! Love you guys! This is great! I’m going to take all of this to our pediatrician for our daughter’s 6 month check-up. I think he will be on board. Keep the suggestions coming….I look forward to your posts and the precious pictures of sweet Indy! 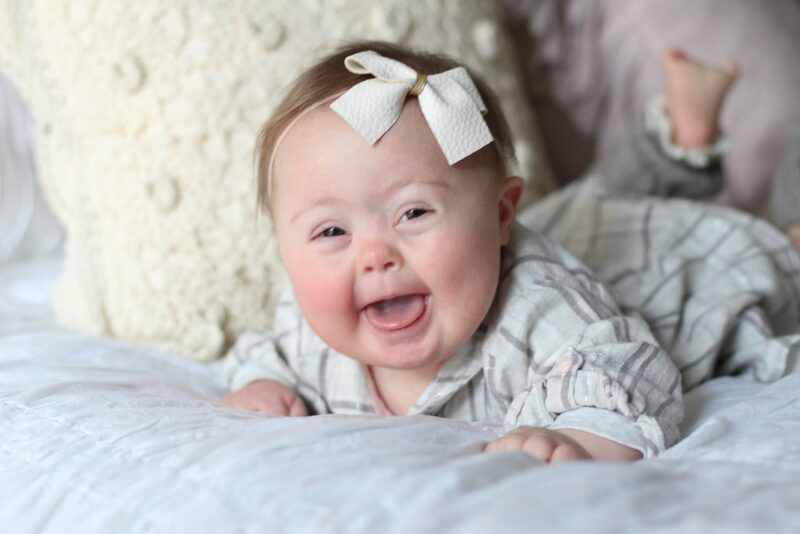 Thank you for sharing your precious tips for baby with downsyndrome. 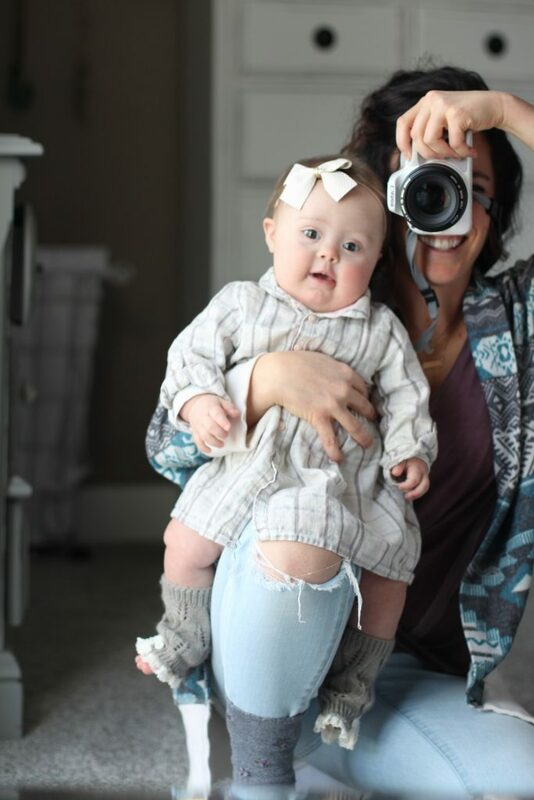 My only daughter is also with downsyndrome. Last year I bought the glutathione supplements on the Amazon linked your posting. Today I checked accidentally the link on your posting and the supplements is different what I bought. Which brand is your choice for your daughter? Please let me know the glutathione product for your daughter. Ps. English is not my first language and seek your understanding for that if it’s worng sentences. Hello! So sorry it has taken me so long to reply, somehow I missed your comment. I added a new link because I switched Indy to this one, but the other one is fine as well! If your child develops diarrhea or constipation on the glutathione spray I recommend switching to the liquid which is the new link 🙂 ANy other questions? How is your daughter? TO mix in a carrier I just put a dime size amount of carrier oil in my hand and then 1-2 drops of the essential oil for older kids and adults. For babies I recommend diluting more than that- For Indy I do about 20ml of a carrier with 5 drops of essential oil. Hope that helps! Hello! This is honestly the best multivitamin for children (and adults!) I have ever come across. I am glad you are going to use it 🙂 I would recommend about 2 tsp daily for both of your children. Let me know how you like it! I would like to know if you use the essential oils in any other part of Indy’s body. I would like to know if you can recommend me some essential oils mainly for hypotonia (name of the oil and brand, I read that you prefer the Primavera ones) and how can I apply them along the muscles. Is the jojoba oil the carrier one? If it is how can I mix the essential oil with the carrier one? Regarding the GLUTATHIONE SUPPLEMENT, I click on the Amazon link you have and it is taking me to a bottle and it says to take 4 ml daily but in the article you said that you use a spray. I think that will work better for me. Where can I find the spray? Thank you very much and I look forward to hear from you soon!!! Hello Mariam! Sorry it took me so long to reply to your question. I only use primavera essential oils for applying to the body because they are 100% organic and very pure, free of any herbicides or fillers. Jojoba is a great carrier oil and the one I use most. Dilution depends on the age of the one using the oil- for Indy I dilute about 5 drops of essential oil in 20ml of carrier. When applying oils to older kids or myself, I apply 1-3 drops of essential oil in a nickel size amount of carrier in my palm, and apply to the area. I use the oils all over the body, depending on where it is needed. For example when Indy is sick with a cough, I apply eucalyptus over her lungs (back and chest), I apply immortelle over her liver to decrease inflammation, Lavendar by ears if she has an earache, etc. I always apply to her feet twice a day. As far as a specific oil to strengthen the muscles, I am not aware of one. Black pepper is good for the bones, and magnesium oil is great for muscles, but I think the best way to help strengthen muscles is massage ( I do infant massage for Indy regularly) and nutrition. Make sure you are incorporating a LOT of fresh fruits and veggies 🙂 Hope that helps! The glutathione- I switched her to that liquid but this is the link to the spray if you prefer that. Hi Terah…I sent you an email…but it might be faster here…can you please send me the amazon link to buy the liquid form of the glutathione…we had to return the spray one….thank you…kisses to Indy!! Amazing post! Thank you for sharing Terah! Could you resend the link re glutathione in the diet, as I would like to learn more. Is foot zoning the same as foot massage or reflexology? How old is Indy now? She is such a goergous girl! Thanks in advance. Loads of positive energy from cold, wintery Dublin!